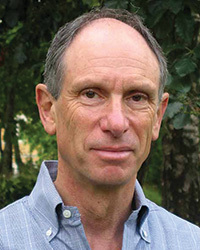 Joseph Goldstein is a co-founder and guiding teacher of Insight Meditation Society (IMS) in Barre, Massachusetts. He has been teaching vipassana and metta retreats worldwide since 1974, and in 1989 helped establish the Barre Center for Buddhist Studies. He is the author of Mindfulness: A Practical Guide to Awakening, A Heart Full of Peace, One Dharma, Insight Meditation, The Experience of Insight, and co-author (with Jack Kornfield) of Seeking the Heart of Wisdom.